USPS Every Door Direct Mail (in short known as EDDM) is a very cost-effective way to send targeted mailers and grow your local business. Whether you own a restaurant or salon, an auto shop or chiropractic business, targeted mailers can help you get business from your own neighborhood at a very affordable price. Go to the ellipsis home page and browse our 5-mile Campaigns. Here’s the link: https://ellipsismarketing.net/browse-campaigns.php. If you are visiting our website for the first time, you will be asked to provide your business type. You may also be asked to provide your business location. Once you have done that, click on “USPS Mailers”. We have simple options to pick from, and lowest prices for the quality you are going to get. 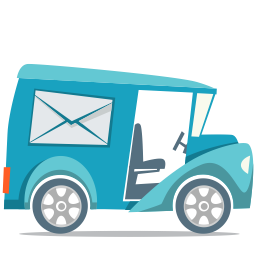 We select the best USPS mailing routes for your business, custom design your mailer artwork so that it will stand out from the crowd, and we track everything so that you’ll know at the end of the day what’s the exact cost per lead from your EDDM mailing campaign. Try Ellipsis USPS Mailers (EDDM) campaign today! Higher Quality, Better Conversions, Full Peace of Mind. [2019-01-17] What does Ellipsis Readymade Every Door Direct Mail Marketing Program include?